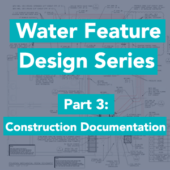 This is the first article in a five-part overview of a water feature consultants’ involvement in the design and construction process. We will cover information from the conceptual stage to the finished feature. To read the other installments, follow the links directly below this article. 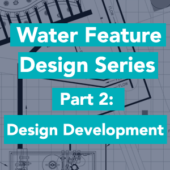 While a water feature consultant can be brought in during any stage of the design process, the optimum time is concept/schematic. When a conceptual design is provided, with even minimal detail, a seasoned water feature consultant should be able to begin advising the client. Below are the most important areas to deal with, which will allow the project to move into design development. Budget always seems to be the first thing we get asked to help establish, as a consultant. With thousands of precedent projects under our belts, we’re able to take the typical cocktail napkin sketch and deliver budgets that are accurate to within 5 percentage points of real construction costs. 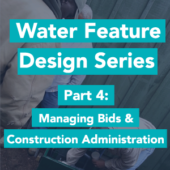 Considerations should not be limited to precedent fountain construction only, but include adjustments for regional material prices; union vs. open shop labor; State Health Department code compliance; and more. Once the budget for the specific feature is determined, discussions can move to additional functions for the fountain, such as automation, animation, RGB lighting and more. Each function would be provided with an associated budget. Applications of specific fountains should be considered for the environments in which they’ll be applied and their suitability within that environment. 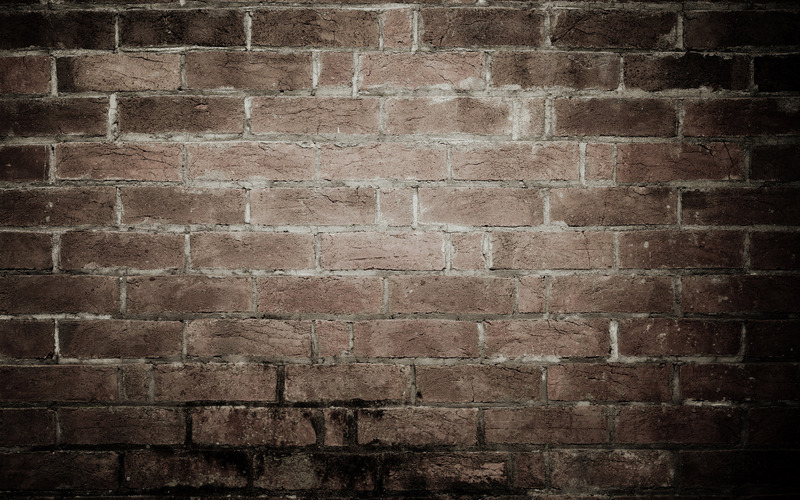 For example, a large, heavily textured water wall, with a small lower basin, would not be a good fit for an interior feature. If this display style is strongly desired, a polished face (for less splash), and possibly a larger lower basin, would be better. If a feature is a legacy restoration, which has become increasingly common, water feature designers can help with research to move forward with appropriate materials selections, that will restore the fountain as closely as possible, to its’ original condition. Many times, we’ve been able to acquire original drawings of very old features, through our broad base of contacts. 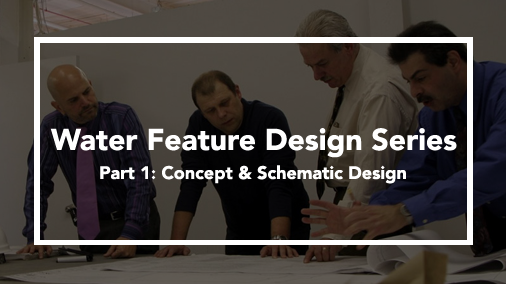 Part of the schematic design review process is determining that the design will work in a real-world setting. A water feature consultant should be able to provide precedent images, and possibly video files, of almost any type of feature to help the team and owner understand the display peculiarities. For any display attributes where there are doubts, we recommend mocking up a portion of the feature to study the application and ensure we are headed in the right direction. In addition to a physical mockup, we recommend 3D renderings and virtual videos with sound. Both are great tools to anticipate what the water will do, over specific surfaces. These cannot always take the places of physical mockups, but when they are able, there is usually a significant cost savings to the owner.